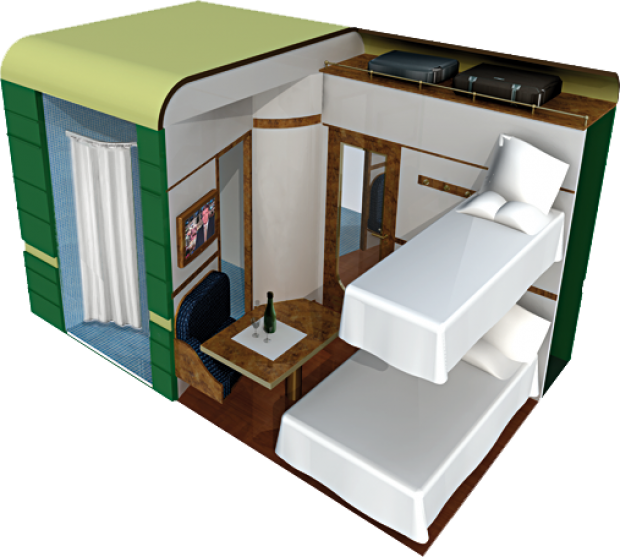 This category of compartment, with its illustrious name, offers 5.57 m² (almost 60 sq. ft.) of space. It has two beds, with the upper measuring 80 × 176 / 31.5 × 69.3 in. and the lower 110 × 187 cm / 43.3 × 73.6 in. 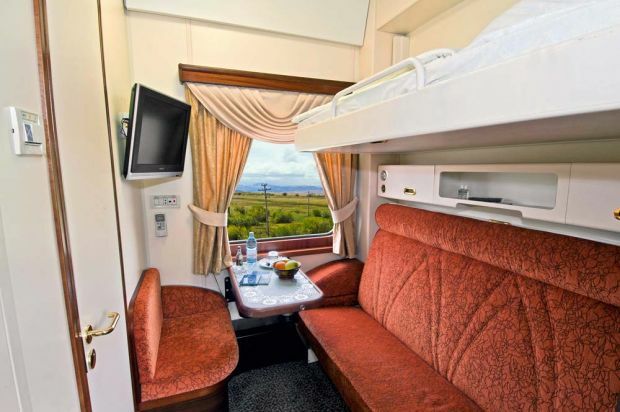 This compartment also offers comfortable seating, a generous-sized table, and a small clothes closet. 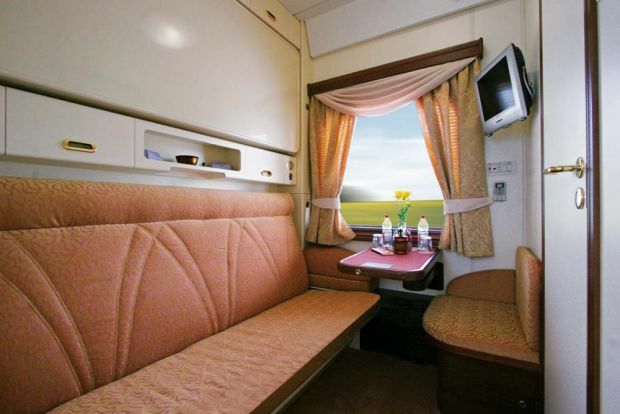 The Bolshoi category has its own lavatory equipped with a toilet, wash basin, and integrated shower with a full shower curtain. This configuration of wagon has only six compartments.